If you truly want to know what is going on in the world, or if you are a conspiratorial theorist, then you really want to take a quick look at this. XDA member myp3uk has written up an Android app to be able to enjoy the truth in the palm of your hand. Wikileaks app wil allow you to enjoy all the functionality of the real thing in your device, without you having to go through your browser. Document views, tweets and everything that you can expect and enjoy in this website is fully functional with this app. The dev is looking for some feedback for this app to make it better. So, if you have something on your mind or come across a bug or two, make sure that you report it. 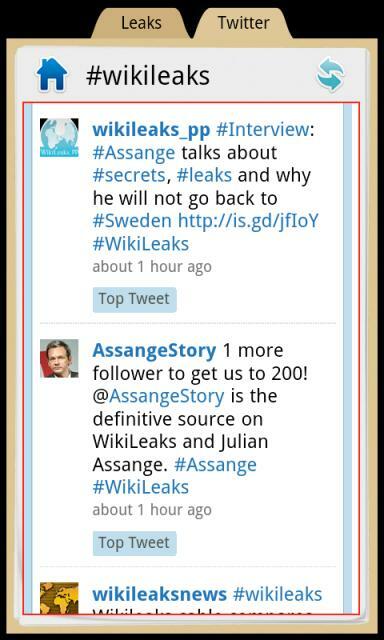 This app brings you full expirience of browsing original Wikileaks documents, share articles with friends, read recent tweets.